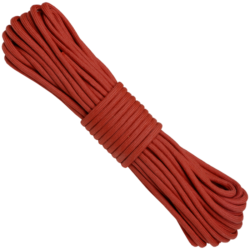 Firecord is standard 550 Paracord with a 8th inner strand used as fire tinder which is colour coded, waterproof, and easy to ignite. Fire tinder material contains: Mineral Oil, Polymer Resin, Hydrocarbons, Aniline Dye, Natural Oils, and Petroleum Distilates). 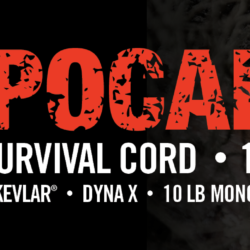 Imagine you could use your regular paracord as fire tinder. 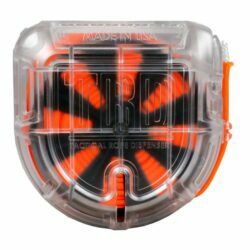 Introducing 550 FireCord, the fire preparedness solution that will ensure you are always prepared! 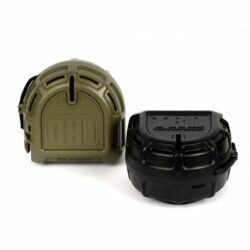 550 FireCord is the next evolution in outdoor gear preparedness. 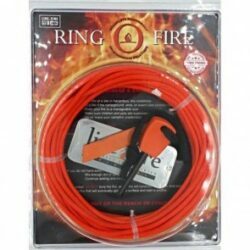 Firecord is standard 550 Paracord with a 8th inner strand used as fire tinder which is colour coded, waterproof, and easy to ignite. 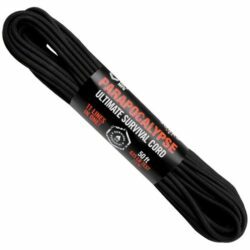 Standard 550 paracord or ‘parachute’ cord has been the common go-to for most cordage uses because of its strength and durability. 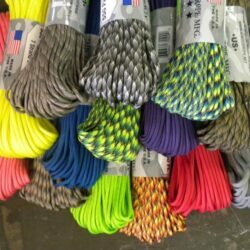 From survival kits, keychains, outdoor lashing, lanyards, zipper pulls, and handles, the uses for standard paracord are endless. Being able to create a fire is essential when camping, hiking, or in a survival situation. People often overestimate their ability to create fire under adverse weather conditions such as rain, snow, cold, wind, and darkness. Having the proper material is a crucial component of building a successful fire. When you need the fire tinder strand (formulated with Live Fire Gear’s properties) light the fire tinder and build the fire. 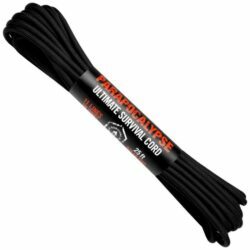 After using the fire tinder, the 7 strand paracord outer shell can still be used.